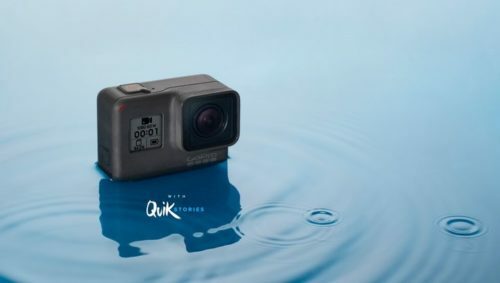 GoPro has launched a new waterproof camera in India. The new entry-level action and sports camera named GoPro Hero is priced at Rs 18,990 and will be available exclusively on Flipkart. The new GoPro Hero joins the likes of Hero6 Black, Hero5 Black, and Hero5 Session – priced at Rs 37,000, Rs 27,000, and Rs 18,000 launched in India. The GoPro Hero with model number CHDHB-501-RW sports a 10-megapixel 1/2.3-inch CMOS sensor which is capable of shooting 4K videos at 60fps and 30 fps. It has an ISO range of 100 – 1600. It bears a 4.95cm touchscreen with a 320×480 pixels resolution. It has 4GB of built-in storage, expandable via microSD card (up to 128GB). It measures 32x62x44.5mm and weighs 117 grams. As mentioned, the GoPro Hero has voice control feature that gives hands-free control using commands. It also comes with stabilisation functionality that lets users capture stable videos even when using a GoPro mount. GoPro Hero will be available to pre-book on Flipkart from March 30.